"A family oriented event that has been put on for 25 years! There is free parking, free shuttles, free entrance. Concessin stands, carnival rides for kids, petting zoo, Kids Zone tent for kids entertainment and crafts, face painting, live entertainment, arts & crafts expo & business expo." Applications are available here and are due by April 3rd, 2015 ASAP. 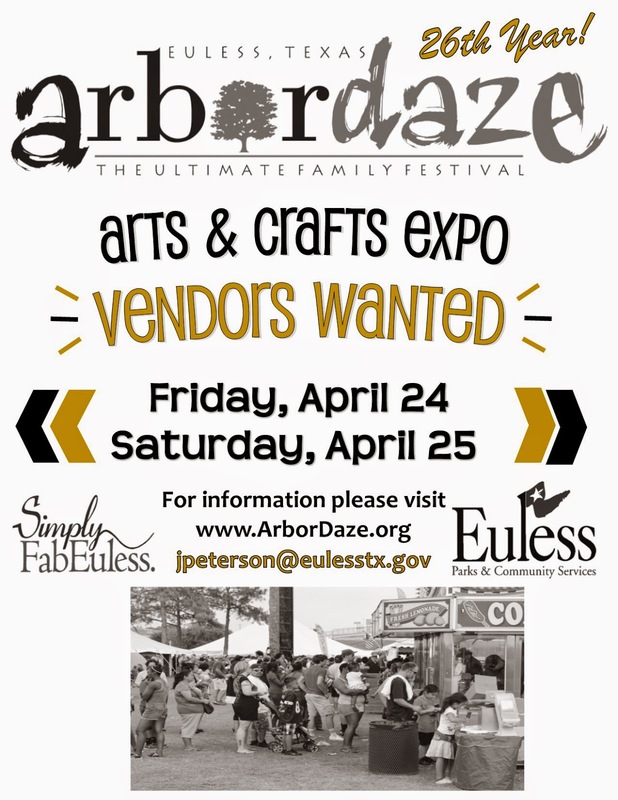 For more information, visit their website or contact their event coordinator at jpeterson@eulesstx.gov / For Concessions - RRodger@eulesstx.gov.